This week’s installation of The Series Project will incorporate an obscure backwater in television history, so I feel a brief explanation is in order. 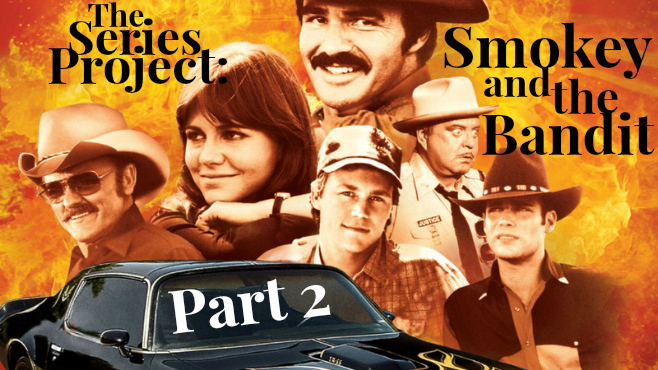 The final Smokey and the Bandit feature film was released in theaters in 1983, and if you read last week’s article, you’ll recall that it was an awkward flop with broad dumb jokes and little-to-no Burt Reynolds. That essentially put the last nail in the coffin for the series. However, fast-forward a decade (to 1994), and series creator (and now stunt luminary) Hal Needham felt the eager need to return to the material… in TV movie form. 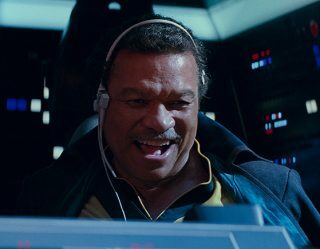 He recast The Bandit, sliced his budgets way, way down, came up with a series of contrived, PG-rated, TV-ready plots, and presented the world with four new 90-minute TV specials. So, yeah, over the course of 1994, the world was treated to four new Bandit movies (no Smokey at all), all of which are pretty equal in quality, and – when taken as a unit – may serve as a single season of a Bandit TV series. 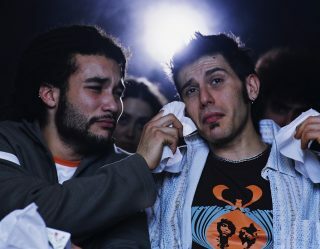 I don’t know the politics of these TV movies – if they were always intended to be feature-length special of if they were meant to kickstart a much larger TV project – but I do know that I have seen them all. 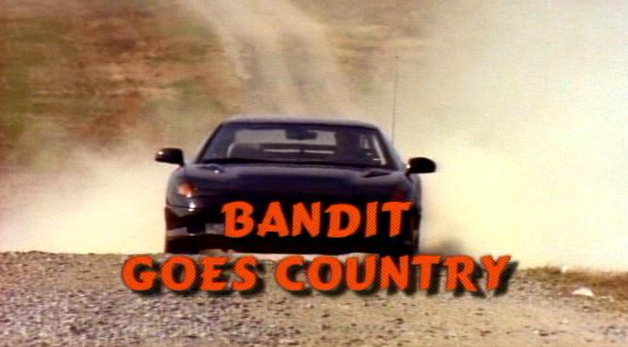 I might have to apologize for the brevity of this week’s article, as, well, I’m not sure if I have a whole lot to say about these Bandit TV movies. But, as your humble critic, I have done my due diligence and sat through every last minute of all four. By 1994, the enthused trucker culture phase of pop entertainment had long since passed, and even the “Dukes of Hazzard”-inspired love of the good ol’ boy hero was kind of out of the public eye, so bringing back Bandit in this climate strikes me a s little odd. I guess nostalgia-based entertainments stretch back much further than the Great Remake Blight of the ’00s. So Bandit is no longer the down-home charmer he once was, and doesn’t even seem to be Southern. Indeed, Brian Bloom is pretty much a Hollywood pretty boy of the highest order, wrapped in some of the most unfortunate of ’90s “country” fashion; seriously, he wears pink and aqua cowboy shirts. Bandit still drives a fast black car, and seems to make ends meet by a string of freelance trucker-for-hire jobs in his custom-painted rig. 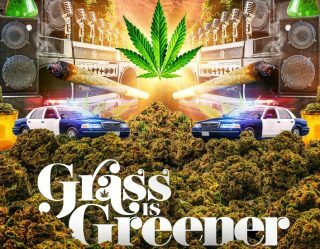 He’s not liked by the local law, but he doesn’t have the same flip dismissal of the sheriffs that he previously possessed. He also doesn’t rely on his charm to escape certain situations. He’s essentially a bland, neutered version of the Bandit we’ve previously seen. The story of Bandit Goes Country: Bandit is asked back to his small Texas (?) 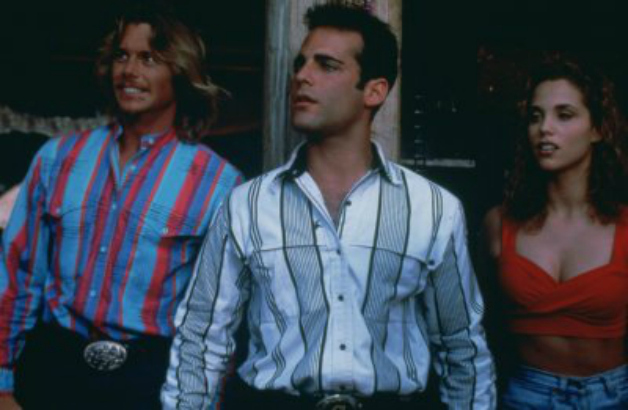 hometown to help out his cousin Johnny (Christopher Atkins) with some sort of vaguely defined illegal business. Bandit is asked under the pretense that his old sweetheart Beth (a pre-Showgirls Elizabeth Berkley) wants to get back together with him, but she is still bitter about an old breakup. Also, Bandit has to – for reasons I don’t rightly recall – give a ride to a traveling country star with a stammer (real life country star Mel Tillis), along with his neurotic city-boy agent, Charles Nelson Reilly. It’s a TV movie, so it has Aaron Spelling production values and cheesy melodrama all over it, although Aaron Spelling would never produce something to forthrightly comedic. This is only vaguely entertaining, largely for the cheesy romantic flashbacks, the would-be studly men, and the notable celebrity cameos; Charles Nelson Reilly is always a pleasure.